The Army Corp of Engineers (ACE) owns and operates Lake Sidney Lanier. In 2010 as a result of media involvement and public outcries and pressure, the ACE met with a coalition of animal rights groups and activist that were pushing for a managed colony to be allowed to remain in the park. 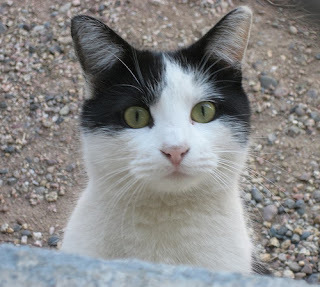 The position of the rescue coalition was that with a policy of trapping, neutering, vaccinating and returning the cats to the park (TNR) along with managed feeding, the colony would be controlled, preventing the birth of new kittens to repopulate the colony. The ACE remained steadfast in its position that all of the cats must be removed from the park. The trapping and removal of 30-50 feral cats that were living at West Bank Park was achieved by the coalition. At the present time, three spayed cats remain in the park. Notification was received from the ACE stating that all trapping and feeding must end by October 7, 2013. The Georgia SPCA, with the help of a very kind woman, has been able to trap and alter, as well as re-home hundreds of cats from Lake Sidney Lanier, Westbank Park. The organization wants to remove the three remaining cats so they can try to find a place for them to live out the rest of their life. Georgia SPCA is asking the public to back up their efforts in removing the three remaining cats so they can try to find a place for them to live out the rest of their life. It is the time of year that people usually have compassion for both animals and people. One lady has devoted her life to saving these homeless animals and offering them a food source. It is devastating to her to have these animals, that she has cared for for the last eight years, be left to their own devices, and ultimately have them starve to death. For eight years these cats have relied on having a dependable food source. The issuing of the ultimatum by the ACE is a death sentence for the remaining cats and any cats that are "dumped" there in the future. It is important to have animal rights people and rescue groups, along with the citizens of our state, contact the ACE and Rangers to tell them of their outrage over letting three spayed cats starve to death during the winter. Please show your support for the three remaining community/feral cats at the West Bank.